This weekend was scheduled as a loosely organized sewing Frenzy on one of my lists. 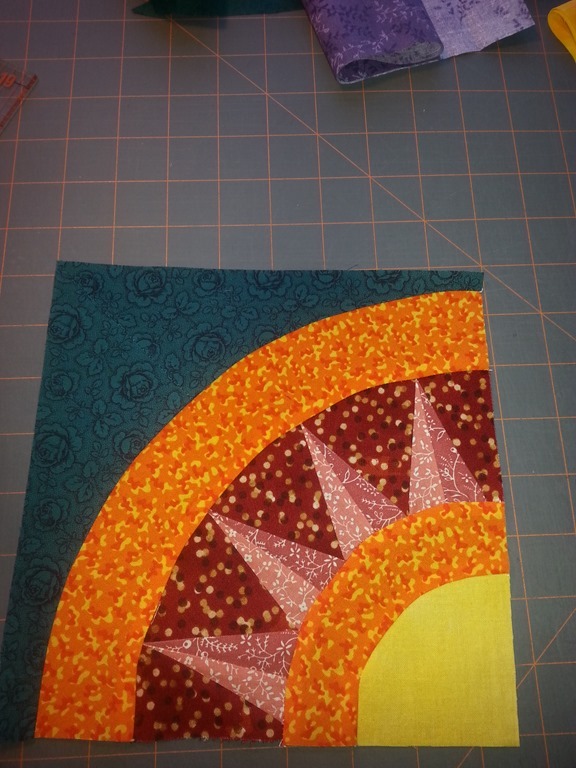 Mostly just a sewing weekend of checking in with one of my quilt lists. I didn’t do to much today – mostly inclined to do nothing LOL … It happens on occasion and this was one of them. I did manage to get five blocks done Saturday and I feel pretty good about what I did. The latest set is going to be a challenge to me for the inner section. This marks as half way through the 10 different blocks for this series. I’ve randomly put the blocks on my wall and I think the real fun will begin AFTER all the blocks are made. This is a quilter’s dream of a major jigsaw puzzle. I’m so looking forward to it! I want to try and mix them up as much as I can. The outer arcs appear to land in 2 or 3 different locations – I want to try and line them up by outer arc as much as I can so the lines aren’t to broken. 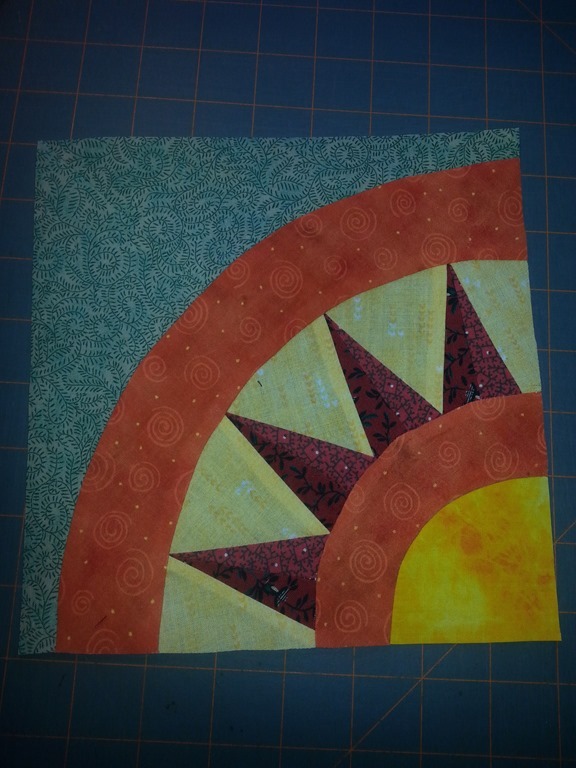 I am half torn to rush through the blocks to start finagle blocks, but I want to make sure I do them right and take my time. 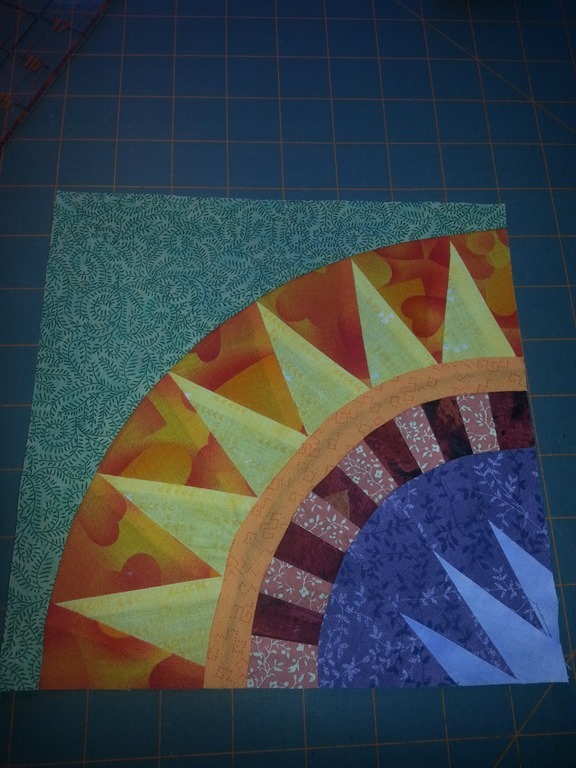 As it is the block sizes are varying 1/16th – 1/4” and that’s my fault until I got comfortable with the curves. That is going to create a few tense moments while I’m piecing the blocks together. I’ve learned so much doing these blocks and am continuing to learn more. I’m so enjoying this! 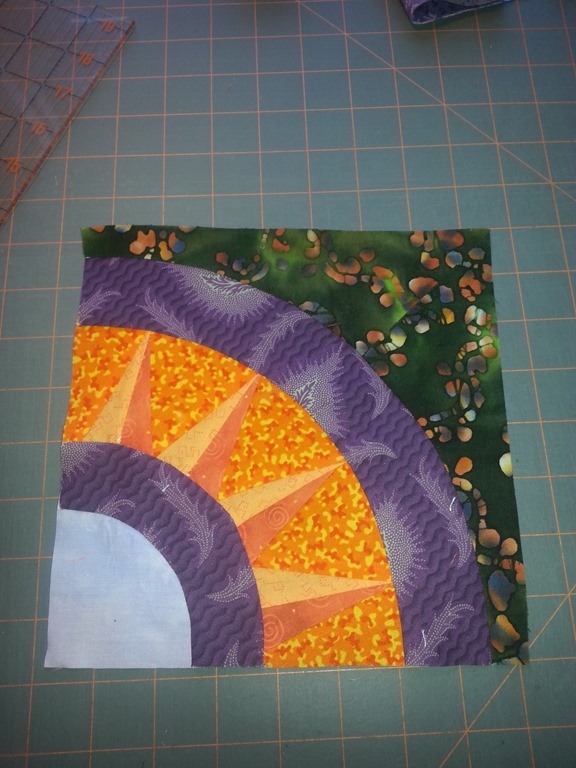 I look forward to getting a few blocks done this week – I’m having a lot of fun with the colour choices and the different patterns each block set is bringing to me. Grace, you have those points down now! love the colors. 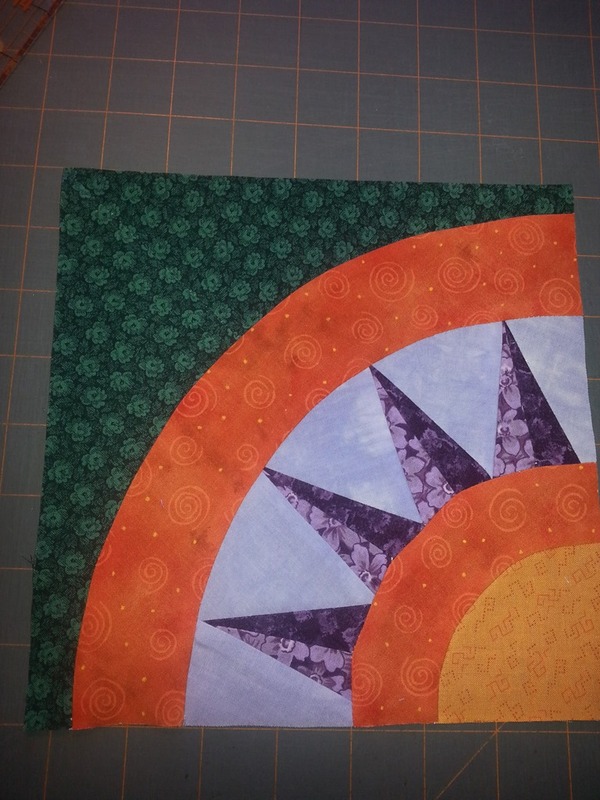 I just posted my a quilt on my blog, the first time I got up the nerve to put a quilt up! I would love for you to check it out!